It’s Time D-Heads! 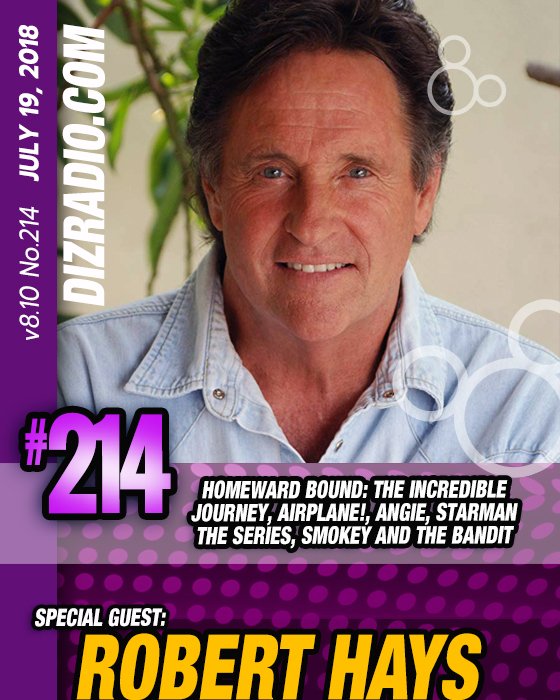 This week we jump on a plane and head homeward bound as we welcome ROBERT HAYS (Homeward Bound: The Incredible Journey, Airplane!, Starman the Series, Angie, Smokey and the Bandit, Take This Job and Shove It and more) to the show. 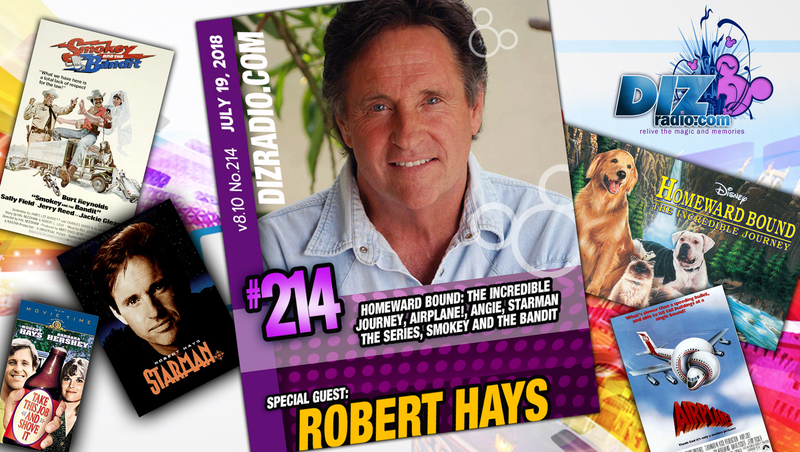 He talks Airplane!, working with animals in Homeward Bound, being on one of his favorite series in Starman, and being part of Disney Classics passed on to generations! In addition no show is complete without the D-Team and you ask the questions and Erin has the answers in I Want to Know. Frank brings you inspiration direct from Walt himself in the Disney Quote of the Week while Domenic gives you the tips and tricks for your vacation in The Short Leash. And Michael brings you those fun tidbits of Disney history found in Walt’s Footsteps while Trisha and Jamie curb your hunger in Magical Munchies. And let’s not forget Randy with the latest from Disney Multi-Media. There is news fresh off the D-Wire with news about Quiznee the Disney Game Show, Incredibles Personalized Books, the latest Disney Movie Togo going into production, Scentsy and Disney team up for Hundred Acre Wood smells, Walt Disney World, Epcot Double Decker Buses and more. So it’s time to Put on Your Ears, Give it a Little Bibbidi Bobbidi Boo, and get ready to Relive the Magic, Memories and Appreciation from Your Lifetime of Disney with DisneyBlu’s DizRadio “A Disney Themed Celebrity Guest Show”! 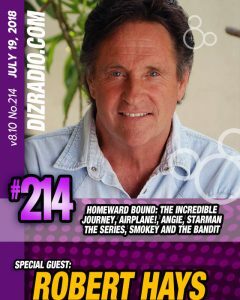 DizRadio@Gmail.com with Show Ideas, Questions, Comments and more!